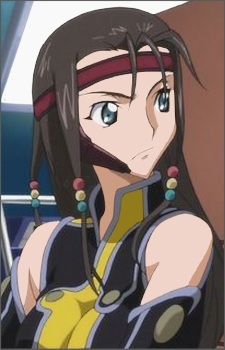 Mutsuki Minase is one of the new volunteer members of the Black Knights introduced in the second season. She serves aboard the Ikaruga. She wears her hair straight with colored beads laced in.